At PuroClean Property Damage Professionals we know that water damage mitigation required immediate attention and is considered an emergency. For that reason we have fully trained emergency technicians standing by in Austin TX and all surrounding areas all times of the day and night - 24/7. We specialize in 24-hour emergency service, because we understand through years of operation that time is your worst enemy when you've suffered water damage of any magnitude. You can rest assured that after you put the phone down we are mobilizing a crew of trained and certified water technicians to respond and mitigate any damage, reducing your suffering and saving money. With each passing hour, water damage claims increase in cost due the damaging nature of water. If you're home or business has just flooded then you need to call us immediately, now is not the time to shop around for the best price - that's your adjuster's job once the damage is under control, you must take immediate action. Leaving your damaged contents and structure to remain wet is not only an invitation for future problems and added expenses from mold damage, but could also jeopardize your claim since you have a responsibility to mitigate the damage. According to the Webster's Dictionary, to mitigate is to "make less severe" or "alleviate". Our PuroClean responders are certified and trained with techniques to mitigate all property losses with lower costs to homeowners and insurance providers in mind. 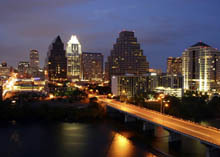 If you have water damage in Austin, we can dry it! Contact PuroClean Property Damage Professionals now, We specialize in Water Extraction, Structural Drying, and Contents Drying. We can help you restoring your property and lives. In most situations the source of the water is evident - take the necessary steps to stop water from entering the home. Turn off your water mains or call a plumber if required. Call PuroClean Property Damage Professionals so they can dispatch a team right away. If safe to do so, use a wet/dry shop vac or mop and towels to remove as much of the water as possible. If the water came from the top floor then wipe down any standing water on wood furniture. Curtains can stain quickly when touching a wet carpet, so lift them up by looping them through a coat hanger hanging from the curtain rod. Place any wet cushions in a dry area on their side to aid in drying. To prevent carpet staining and damage to furniture place pieces of plastic, or aluminum foil under furniture legs. Pick up wet fabrics like clothes, rugs or other floor coverings and place them outside if not raining. Remove dangerous items and valuables such as firearms, expensive jewelry and art pieces and place in a safe, dry location. Take furs and leather goods and place in an unaffected room where they can air out. Inform a technician so they can place a dehumidifier in that room. Remove wet books and spread out to dry, be careful not to tear them. Valuable books can be freeze-dried - speak to your water damage technician. If safe to do so and warm and dry outside opening the doors and windows will assist in the drying process. We take photos and document your loss, but taking photos yourself is never a bad idea. Don't throw anything out before taking photos. Do not use a regular household vacuum to remove standing water. Do not use any electrical appliances in water damaged room without consulting an electrician first. Do not even enter a room with standing water if the electricity is still on. Do not attempt to pull carpet off the tack strips yourself, besides possible injury you could also damage the carpet. 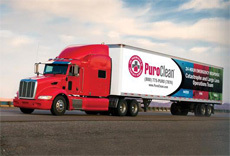 Do NOT wait to call PuroClean for professional help. Don't let a horrible situation of water damage turn into something much worse. Don't allow it to become a complete disaster in your home or place of work! Standing water, besides structural damage, can also become a sever health risk as bacteria multiples with each passing hour. The longer a home stays wet then more demolition is required and the less that can be dried and saved. Water travels a lot further than most homeowners first think - that wet carpet also has saturated the carpet pad and in all likelihood the sub floor too. Don't let mold develop, call PuroClean right away. It's very important to start the process of returning your home to a pre-loss condition as soon as possible for health and financial cost reasons. Your personal possessions are far less likely to develop mold if a professional is called out immediately to begin the mitigation steps. 1. Initial Inspection and assessment: With highly sensitive moisture meters, our certified restoration experts go through a process of discovery and assessment locating the source of the water and migration patterns of the water throughout the property creating a mental moisture map. 2. Water extraction: Removing water with a weighted extractor removes water over 1000 times faster than dehumidification alone and can remove 25 gallons of water a minute from the carpet, pad and sub floor. This reduces the amount of time required for drying equipment and saves on costs. 3. Add Drying Equipment: Air movers (commonly referred to as fans) are strategically placed around the room to evaporate moisture at a high rate. We then add dehumidifiers in order to extract humidity from the air. The moist air is dried out and heated up by the dehumidifiers and added back into the room. This warmer dry air is now able to assist in the evaporation process since it can now hold more moisture. 4. Moisture readings: We will develop a monitoring schedule with you (preferable daily) so we can take moisture and humidity readings thus ensuring we have the right amount of equipment in the right areas to expedite the drying process. Equipment will be repositioned in areas that need more attention.